I never thought in my life that I would drink any alcoholic beverage before 11 a.m. in the morning. 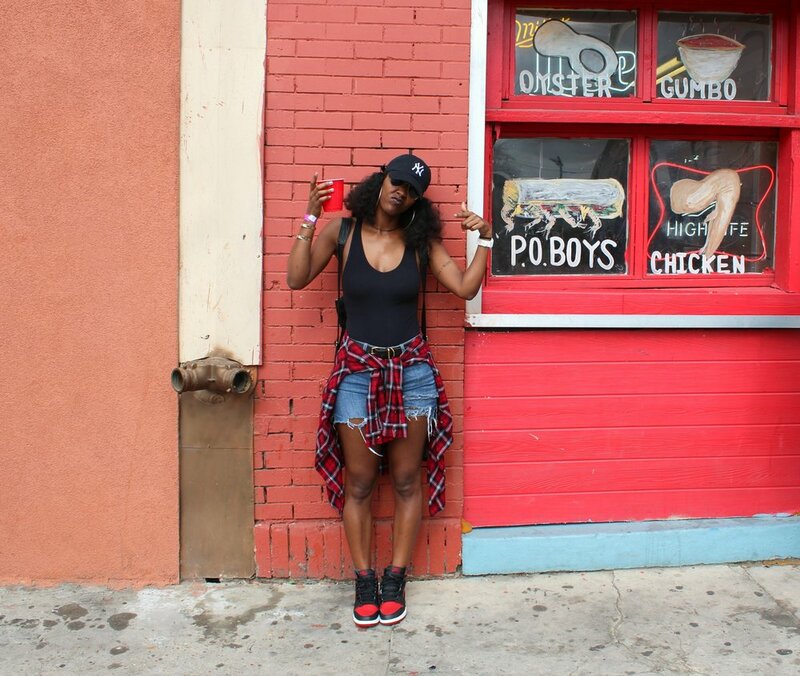 However, on Tuesday, I found myself on Basin Street in New Orleans at 9:33 a.m. gulping down Apple Crown Royal. After the first sip of the tasty beverage, the adult side of me questioned my priorities and ability to make sound decisions. Then bounce music came blasting through some nearby speakers, and the adolescent side of me spoke. And it specifically said, "Heffa, it's Mardi Gras....party your a$$ off!" And party I did. Apparently Mardi Gras in New Orleans is Christmas. It's a cultural tradition that the city takes pride in celebrating. During this time, everyone is floating about the city inebriated and as happy as ever (everyone is actually like this here all year round lol). I have been to a few Mardi Gras events in the city before moving here, but living here and being immersed in the culture is a different story. I was amazed at everything I saw. 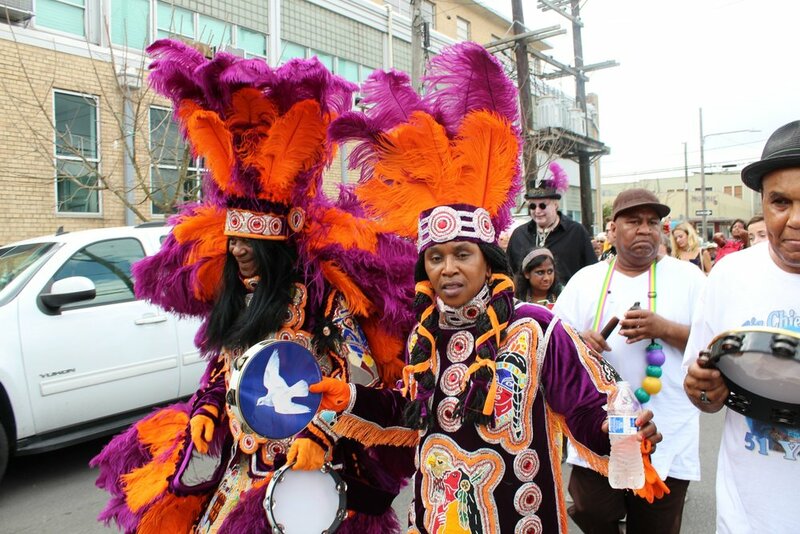 The best part of Mardi Gras for me was having the wonderful opportunity of spending it with the Uptown Indians. 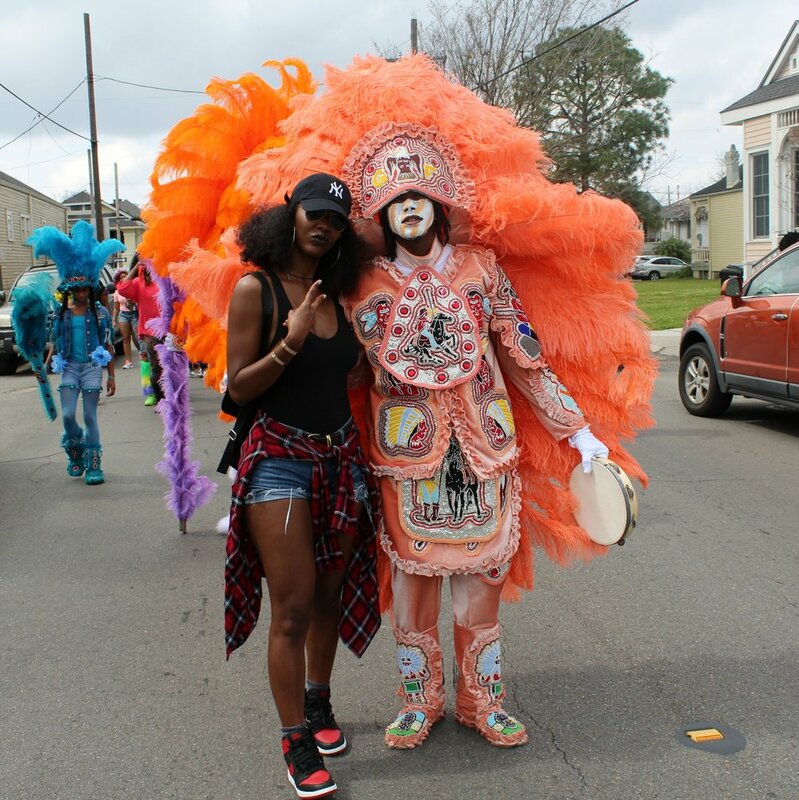 I was able to kick it at their headquarters while they finished sewing and preparing their Indian suits (they begin sewing these suits a year in advance) and then I walked miles with them to their Mardi Gras destination where they met up with the Downtown Indians for an Indian square off. It was incredible. I had a blast! See what my camera caught below. A young Indian in training. The Chief and his wife. I believe I have done enough partying for at least two months. I will now try to hibernate for a bit and get my life back into some sort of order, but it is good to be able to experience new things and let loose every so often. It makes the grind that much more enjoyable. Have an awesome week everyone! Chat with you soon!